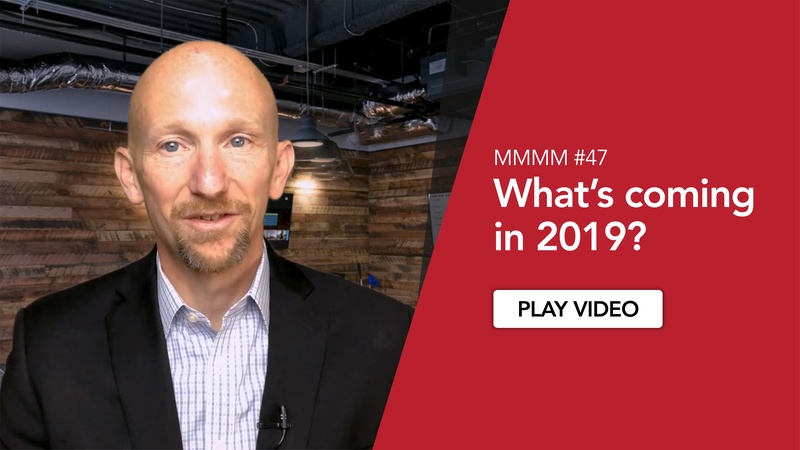 MMMM #47 - What's coming in 2019? This week Justin announces a new video series for 2019. Listen in to hear what's in store for the future of the MMMM and provide your input for the content. I'm very excited to make an announcement for 2019. But before I do that, I want to recap the Monday Morning Mobile Minute for 2018 thus far. 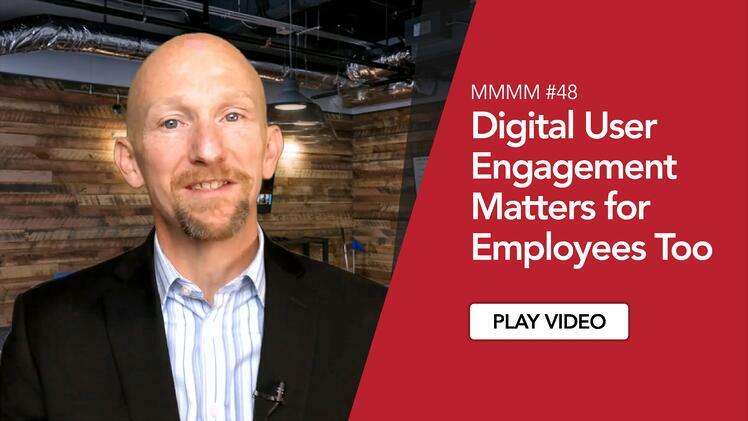 When I started this on January 1st of this year, my goal was to open up dialog with the community of professionals working to solve problems with Digital Evolution in business, specifically those focused on firstline workers. To be effective, I knew I needed to create a series that had a regular, weekly cadence so that it reminded me to share regularly and not let all of the other day-to-day noise get in the way. Today is the 47th weekly video so I'd say we're on track to meet the execution plan. But the video cadence represents the method of execution, not the outcome. The intended result of this effort was to create more conversations with other people about these topics...for the weekly video to be a starting point, not the endpoint. Interestingly, that has happened, but not necessarily online as I expected and intended. The good news is that I have had countless interactions in old-fashioned live voice conversations that often begin with "I've been watching your Monday videos...."
That's awesome! We've had over 30,000 views this year and started some great discussions on and offline. I'm seriously considering re-upping my commitment and continuing the weekly cadence into 2019. I've got a few weeks to decide on that and I'll let you know. What the Monday Morning Mobile Minute is missing is candid perspectives from others who are tackling these challenges. I'm fortunate that I get to learn about many of the hurdles business leaders face and get to be a part of solving some of them. But mine is a single view and I think to be most effective in this community, we need to open this up to more perspectives. So today I'm announcing an interview series for 2019. My initial commitment will be for twelve interviews, the exact time and cadence remains TBD. I will interview a variety of leaders from various segments of the community. This will include both business and IT leaders who are dealing with Digital Evolutions in their businesses as well as thought leaders from the community of solution providers. I'm very excited about this initiative and will use the Monday Morning Mobile Minute to keep you updated as details are finalized. Many of us learn best from stories, and while others' experiences may not match our circumstances perfectly, we can usually learn something that applies to the challenges we face. Here's what I need from you: I'd like to know the topics you're most curious about related to Digital Evolution. What are the things that make you wonder "How have other companies have dealt with this?" Please comment below so I can make sure the topics we cover in the interviews are relevant for you. There may be some topics that you're not comfortable sharing publicly since we all know who you work for, so feel free to send me a direct message and we'll keep the source of those topics confidential. But please feed this process with some ideas yourselves. And if you feel comfortable doing so, I'd appreciate you sharing this post with others in your network. I'd like to get as much input as possible so we can hit the ground running in 2019. Thank you for watching today and in the other 46 videos. I greatly appreciate the support. I'll see you again next week. MMMM #7: What Does Digital Transformation Mean to You? MMMM #9: Will You Help Us Be Our Best? 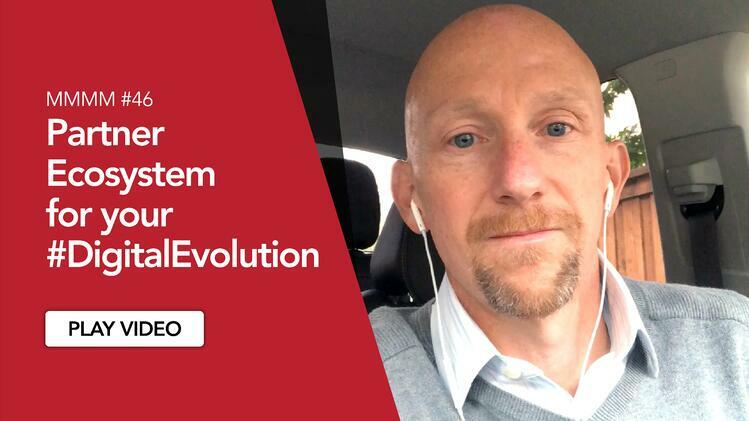 The ecosystem of partners around your #DigitalEvolution is critical to your success!